PAAIA’s 2017 Capitol Hill Days were a huge success! 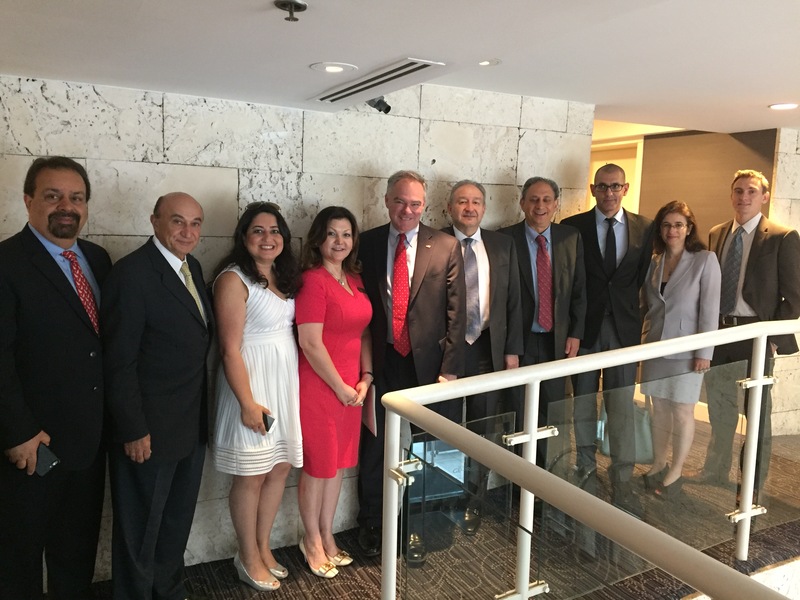 During the week of May 22nd, 2017, PAAIA’s IA-100 members met with over seventeen Congressional leaders from both sides of the aisle to discuss several important issues to the Iranian American community. Our policy recommendations included distinguishing between the Iranian people and the regime, avoiding implementation of unwarranted visa or immigration restrictions, expanding telecommunications tools, and supporting the Joint Comprehensive Plan of Action (JCPOA). Throughout the course of the week, we met with Senators Tim Kaine (D-VA), Chris Murphy (D-CT), Rand Paul (R-KY), DSCC Chair, Chris Van Hollen (D-MD), James Lankford (R-OK), Judiciary Committee Ranking Member, Dianne Feinstein (D-CA), and Thom Tillis (R-NC); as well as House Speaker Paul Ryan(R-WI), House Democratic Leader Nancy Pelosi (D-CA), DNC Vice Chair, Congressman Keith Ellison (D-MN), House Democratic Caucus Chair, Congressman Joe Crowley (D-NY), DCCC Chairman, Congressman Ben Ray Luján (D-NM), Congressman Beto O’Rourke (D-TX), Ranking Member of the Armed Services Committee, Adam Smith (D-WA), Foreign Affairs Committee Chair, Ed Royce (R-CA), Education and Workforce Committee Chair, Congresswoman Virginia Foxx (R-NC), and Congressman Francis Rooney (R-FL). Our policy recommendations were well-received and every leader agreed it is important to differentiate between the Iranian people and their democratic aspirations and the Iranian regime. 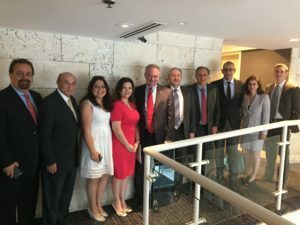 At each meeting, we highlighted the fact that Iranian Americans are patriotic Americans who contribute to the economic and social fabric of the United States. PAAIA would like to extend a big thank you to all participants who made the effort to visit Washington, D.C. and to all Congressional staff who helped coordinate these meetings. 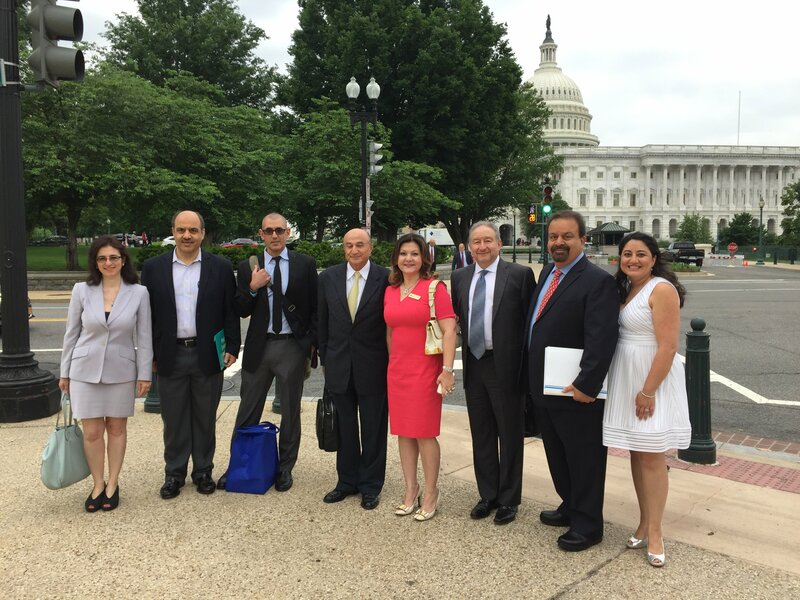 Moving forward, PAAIA will continue to build and expand on the progress made during our 2017 Capitol Hill Days to develop an influential voice for the Iranian American community. Please click here to view our photo album of the event.